BULLDOGS. Open Dogs. 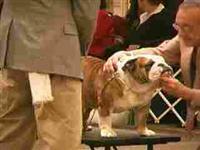 11/18/2010 Penn Treaty Kennel Club, Inc.
By Ch Hetherbull Topline O-O - Cherokee Legend Moneypenny. Owner: Cody T Sickle & Connie Chambers & H & M Martinez., Syosset, NY 117912210. Breeder: Cody T Sickle & Henry Martinez & Miriam Martinez. 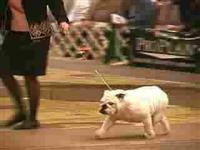 By Ch Flippins Scout - Ch Aguirre's Dancin Days Are Here Again. Owner: David Kauffman & Pete Aguirre., Mohrsville, PA 195410191. Breeder: David Kauffman. By Ch Silverspoon's Nothing Personal - Ch Lakewinds Dot Com. Owner: Dorothy & Julian Prager & Fred & Caroline Haynes., Zionsville, PA 180922920. Breeder: Fred & Caroline Haynes. 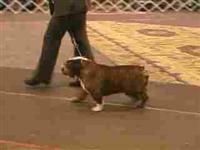 Video BULLDOGS. Open Dogs. 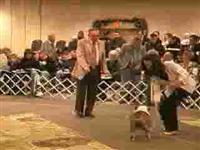 11/18/2010 Penn Treaty Kennel Club, Inc.